If you provide your e-mail address, we will communicate with you electronically. For example, when your FAFSA has been processed, you will be notified by e-mail. Your e-mail address will also be shared with your state and the colleges listed on your FAFSA to allow them to communicate with you. If you do not have an e-mail address, leave this field blank. 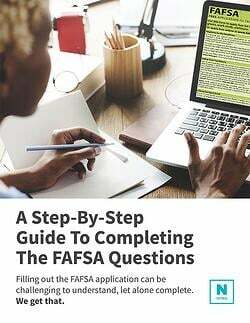 The Department of Education, and even your school, will use this address as primary communication with you as it relates to your FAFSA. Enter your most current and used email address in this field.